18 Nov	This entry was published on November 18, 2014 at 12:27 PM. It’s filed under Plus Size Fashion and tagged ERZULLIE, PHILIPPINES, PLUS SIZE, PLUS SIZE EVENT, PLUS SIZE FASHION, PLUS SIZE STYLE. Bookmark the permalink. Follow any comments here with the RSS feed for this post. 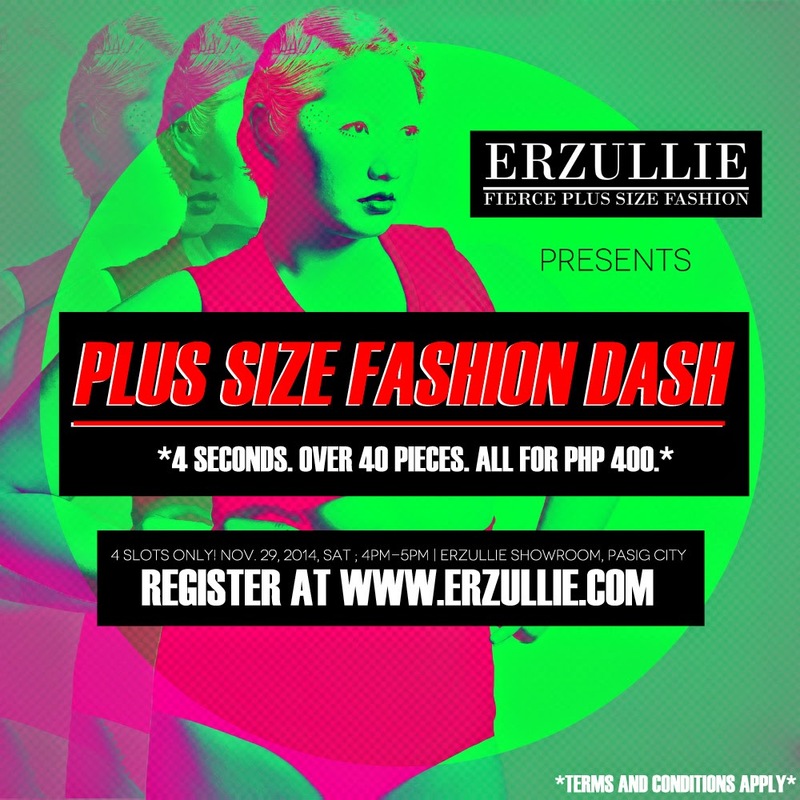 Older: PLUS SIZE EVENT: ERZULLIE FIERCE CURVES | 4TH YEAR ANNIVERSARY SHOPPING SOIREE TODAY!